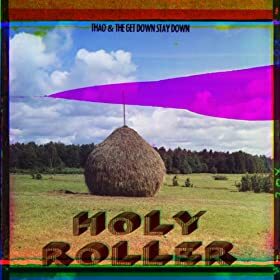 Thao & The Get Down Stay Down released the music video for the single “Holy Roller” off their “We The Common” album. The folksy pop song gets a quirky music video with five characters in the video getting mashed up together. It’s mix and match with eyes, mouths, and other body parts. Things get blended up and mixed up when you’re a holy roller. You can get Holy Roller on or amazon. Listen to more Thao & The Get Down Stay Down : We The Common (For Valerie Bolden), Kindness Be Conceived, Bag of Hammers, Body, When We Swam, and Cool Yourself.